Spring into Audi Sales Event. On now. European models shown with features that may vary or not be available on the Canadian model. 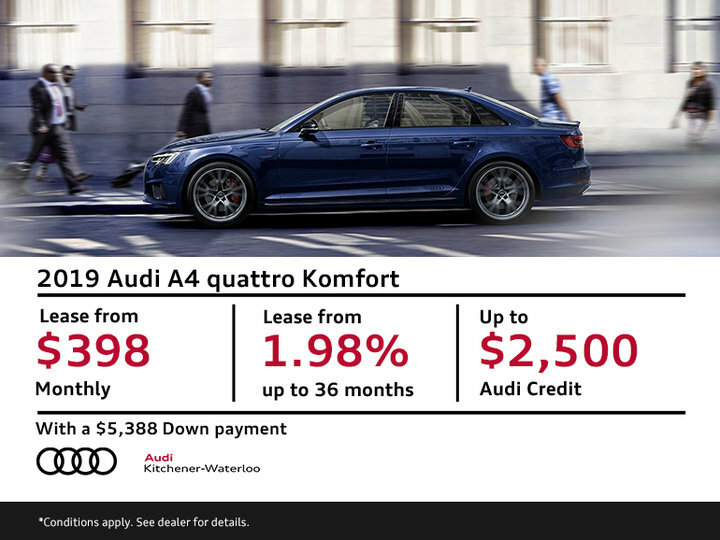 Limited-time lease and ﬁnance offers available through Audi Finance, on approved credit, on select new and unregistered 2019 Audi A4 Sedan models. Credit). Air conditioning tax ($100), PPSA ($58), OMVIC ($10), dealer admin fee ($395), $5,388 down payment or equivalent trade-in, security deposit of approximately one month’s payment, and first monthly payment due at lease inception. License, insurance, registration, options, and applicable taxes are extra. The total lease obligation is $19,769 (excluding taxes). Kilometre allowance of 12,000/year; charge of $0.30/km for excess kilometres. 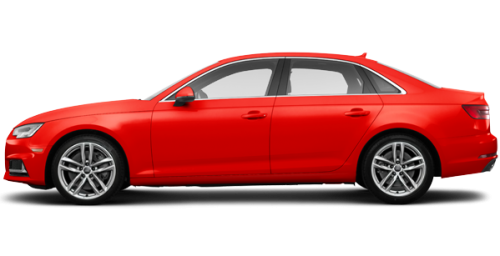 Model shown: 2019 Audi A4 Sedan 45 TFSI quattro Technik tiptronic with base MSRP of $53,217. Offer ends April 30, 2019, and is subject to change or cancellation without notice. Dealer order/trade may be necessary. Dealer may sell or lease for less. See dealer for details. AUDI AG trademarks are used under license. © 2019 Audi Canada.